Early in his career, Jerry Mahoney was stricken with a case of Dutch Elm disease. 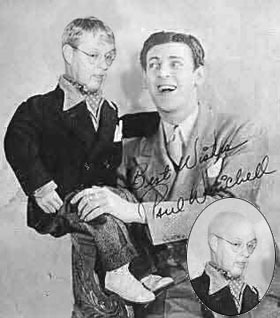 Paul Winchell hired an 8-year-old Ron Miles as a temporary replacement. Later that year, little Ron filled in again when Knucklehead Smith contracted the disease. 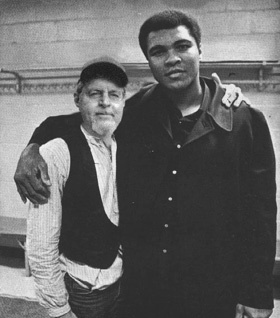 Mohammed Ali was just an attendant in a health club when he met Ron. After asking the young mans name, Ron laughed, Cassius Clay? What in the hell kind of name is Cassius Clay? ! Beating the snot out of Ron helped Clay realize his real talent. He changed his name and rewarded Ron by making him his personal towel jockey.